Please submit approximately 10-15, double-spaced pages of poetry in one file (.doc or .docx or .rtf only. No .pdf please). We are looking for work that coheres; poems that clearly belong together under one roof. Think mini-chapbook. As always, we invite work that engages and interrogates our notions of nature and place and helps us see the world around us in a new way. We want strong voices and impeccable craft, regardless of style. The writer’s name and contact information should appear on each page of the manuscript. We do not read blind. Please also provide a short bio in the appropriate field on Submittable. All pages should be numbered. We accept electronic submissions only through Submittable. Emailed submissions and mailed submissions will not be considered. Simultaneous submissions are accepted as long as they are withdrawn promptly in the event of publication elsewhere. If you need to withdraw a single poem from the submission, you may do so as long as it doesn’t drop your manuscript much below our minimum page count. Multiple submissions are accepted but each must include a separate contest fee. No translations. For all our submissions, themed or otherwise, we welcome especially work by writers who are part of marginalized groups: immigrant and indigenous writers; writers of color; women, non-binary, LGBQA and trans writers; writers with disabilities both visible and invisible. No racist, misogynistic, homophobic or otherwise gratuitously hateful work will be considered. Send us your best work! All work must be original and previously unpublished. This includes any work that has appeared in print or online in any form including personal websites. We claim first North American Serial rights, so rights revert to the author after the initial publication period. We ask that you credit The Fourth River in any subsequent publications. Submissions will be screened by a panel of editors and 10-15 finalist manuscripts will be sent to the judge. The contest is open to all writers in English except those affiliated in any way with Chatham University, The Fourth River, or current or former students and colleagues of the judge. Submissions accepted from September 4th–December 31st. Winners will be announced by email and listed on our website by May 15th. The Folio Contest will rotate genres each year between poetry and prose. 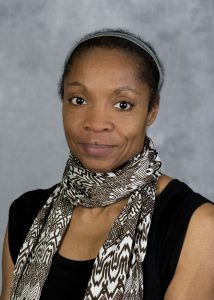 Allison Joseph lives in Carbondale, Illinois, where she is Professor of English and Director of the MFA Program in Creative Writing at Southern Illinois University. She serves as poetry editor of Crab Orchard Review. Her books and chapbooks include What Keeps Us Here (Ampersand Press), Soul Train(Carnegie Mellon University Press), In Every Seam (University of Pittsburgh Press), Worldly Pleasures (Word Tech Communications), Imitation of Life(Carnegie Mellon UP), Voice: Poems (Mayapple Press), My Father’s Kites(Steel Toe Books), Trace Particles (Backbone Press), Little Epiphanies(NightBallet Press), Mercurial (Mayapple Press), Mortal Rewards (White Violet Press), Multitudes (Word Poetry), The Purpose of Hands (Glass Lyre Press), Double Identity (Singing Bone Press) Corporal Muse (Sibling Rivalry Press, forthcoming) and What Once You Loved (Barefoot Muse Press). Her most recent full-length collection, Confessions of a Barefaced Woman was published by Red Hen Press in June 2018. She is the literary partner and wife of poet and editor Jon Tribble.